Props to the Iraqi people. Over 30 heroes and heroines lost their lives while exercising their new found freedoms. If enough of their countrymen and women are willing to do the same, this experiment in democracy may yet work. My concern with this war has been that freedom hasn't been valued enough by the Iraqis since others (our soldiers) were doing much of the dying. Perhaps my concern is ill founded. I hope so. A thriving Arab democracy in the Middle East may be the best hope for eventual peace in that arena. Thanks to all the US troops who have made this day possible. You have my deepest admiration. A new Salary.com online survey found that an increasing number of employees would forego cash for extra time in the sun. If given the choice between a $5,000 raise and the equivalent in time off, 39 percent of online survey respondents chose leisure time, up from just 33 percent three years ago. This is a trend, and employers should be ready for increasing requests for more time off from their workforce in the years ahead. Europeans routinely receive 5 to 6 weeks of vacation their first year with an employer and Australians generally receive six weeks as a starter. In the US new employees generally receive on 1 to 2 weeks in year one and must work at least five years to get three weeks. This gap will narrow as the economy continues to become more global. And the Aussies and Europeans will not be reducing their standards to meet ours. Be ready for this one. Rewarding people with time off may become more important than financial bonuses and monetary benefits. It's part of the cultural shift. It's interesting to see how institutions try to build "programs" around the latest and greatest ideas. Doesn't seem to matter if its government, religion, journalism, ad agencies. . . It's especially dangerous right now, because not only are there new ideas, but the whole context of thinking about certain disciplines has shifted. If you try to fit new concepts like "Buzz", "Word of Mouth", or the "Tipping Point" into and old mindset or context, you wind up with a disaster like this one courtesy of the Bush White House. From USA Today - "The Bush administration paid prominent black pundit Armstrong Williams $240,000 to promote the No Child Left Behind law on his nationally syndicated television show and to urge other black journalists to do the same... The contract, detailed in documents obtained by USA TODAY through a Freedom of Information Act request, also shows that the Education Department, through the Ketchum public relations firm, arranged with Williams to use contacts with America's Black Forum, a group of black broadcast journalists, "to encourage the producers to periodically address" NCLB." OK, it's important to make some distinctions here. There is a difference between word-of-mouth, buzz, and a paid endorsement. True sneezing must first of all be credible. At minimum, a paid endorsement has to be disclosed. It's even required on infomercials. We know that Christie Brinkley and Chuck Norris are being paid for all those nice things they are saying about the Total Gym. So watch out for agencies who specialize in "word-of-mouth" advertising programs and promise to get your "product" on the lips of sneezers. If the roots aren't credible, the fruit will ultimately rot on the vine. Democrat or Republican. Christian or Muslim. CBS News or Rush Limbaugh. Job one, create something worth sneezing about. People are tuning out advertising and other non-credible (or marginally credible) sources of information. Be remarkable. Be credible. (These days being credible is in itself somewhat remarkable). The world has already changed. Don't try to grab the latest hot marketing concept and bolt it onto a cultural viewpoint that's expired. When people figure it out (which now happens in ever-decreasing time), you're toast. Dry, burned, smoking toast. More interesting perspective on the Armstrong Williams story over at Church of the Customer. A previous entry here, Word of Mouth Clarified, may also be helpful. If you have any desire to understand the elitist thinking in parts of the liberal camp, check out this article by Ted Rall. 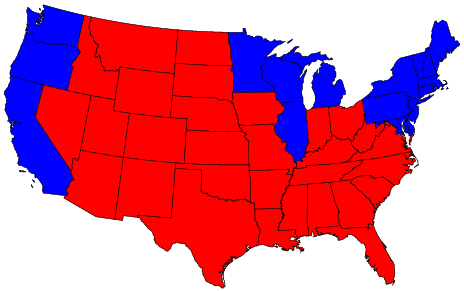 I think it’s important to understand how others think, even though I do live in a red state. Here’s an appetizer from the article – “Why shouldn't those of us on the coasts feel superior? We eat better, travel more, dress better, watch cooler movies, earn better salaries, meet more interesting people, listen to better music and know more about what's going on in the world." 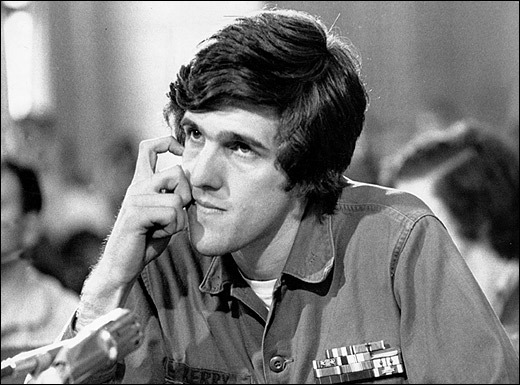 I try to not get too political here, but this Kerry ad spoof by Mark Simone from WABC radio in NYC is pointed and hilarious. Click here to play the MP3 file. Why are the Bush campaign and its surrogates not producing material like this? Those guys at JibJab are at it again. This time they've released a Flash parody called Good to be in D.C.
To watch the one that started it all, This Land - Click Here. Both are a bit irreverent, so if you might be offended, either lighten up or don't click.